Born in Kitchener - Waterloo, Ontario and raised in the Philadelphia area, Emma Char has recently crossed the border back to Canada to make debuts with Opéra de Montréal, I Musici de Montréal, Les Violons du Roy and Ensemble Caprice. 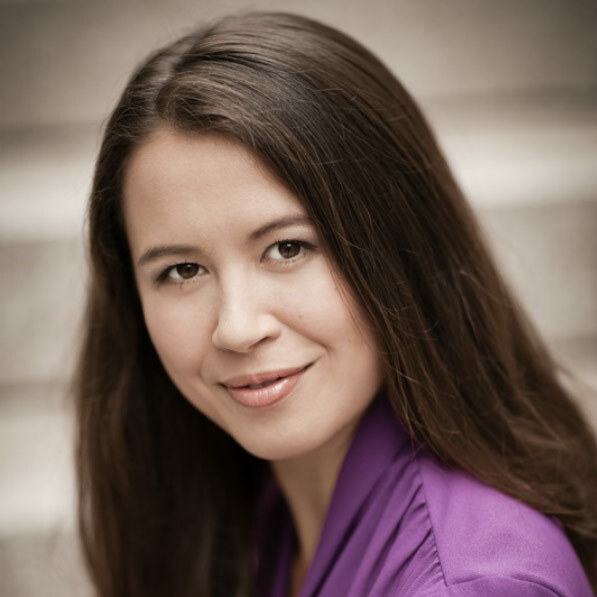 In the summer of 2014, she returned as a second-year apprentice with The Santa Fe Opera; covering Mrs. Umeya in Dr. Sun Yat-sen and singing Ramiro in the Apprentice Scenes staging of La Finta Giardiniera and Detective Anne Strawson in Two Boys. For the 2013-2014 season, Emma performed the roles of Hänsel in Hänsel und Gretel and Mallika in Lakmé (Opera de Montreal.) In the 2012-13 season, she sang The Mother in Amahl and the Night Visitors with The Atelier lyrique de L’Opera de Montreal, Rosette in Manon (Opera de Montreal) and Ramiro in Ensemble Caprice’s Production of Vivaldi’s Motezuma. In previous seasons, Ms. Char covered the role of Margret in Wozzeck (The Santa Fe Opera), sang Sesto in Giulio Cesare (C.C.M. ), Sister James in the workshop of John Patrick Shanley and Douglas Cuomo’s* Doubt* (Cincinnati Opera/ C.C.M.) and the title role in La Cenerentola (C.C.M.). Education credits include Hermia in A Midsummer Night’s Dream, Sesto in La clemenza di Tito, L’enfant in L’enfant et les Sortiléges, Mrs. Segstrom in A Little Night Music and Mrs. Nolan in The Medium. Ms. Char received her B.Mus. from The Eastman School of Music, M.Mus. from Florida State University and is also a graduate of the University of Cincinnati, College - Conservatory of Music’s Artist Diploma Program. Emma was generously supported by the Howard Hansen Scholarship (Eastman School of Music), the Gallaher Award at Florida State University, and the Corbett Scholarship (C.C.M.) Ms. Char holds Dual U.S. and Canadian Citizenship and currently resides in Toronto, Ontario.